On 7 November the Committee of Senior Officials (CSO) gave approval for the Republic of Moldova to become the 38th COST Member. Therefore the CNC of Moldova will soon begin the process of identifying Actions that Moldova would like to join and accepting the MoUs of these Actions and nominating MC Members. In order to support the CSO decision and facilitate the process of Moldova joining the Action I encourage you to respond by seeking the approval of the MC for Moldova to join the Action. Let us know if you are in contact with a scientist to be recommended as a MC Member of the Republic of Moldova in our COST Action. Renner-Sattler Kathrin rotatet off as MC Member for Germany and switched postion with Keppner Gloria who is now the representative for Germany. Sonveaux Pierre rotatet off as MC Member for Belgium and switched postion with Arnould Thierry who is now the representative for Belgium. Welcome to Jusic Amela as our new MC Member for Bosnia and Herzegovina. You will receive news on the activities of COST Action MitoEAGLE and information on future events in this project. This is the roadmap of the project; yet the expression "how it flies" belongs to EAGLE. Coimbra PT, 2019 May 20-21. WG1 and WG3 protocol development and liver - COST Action MitoEAGLE. 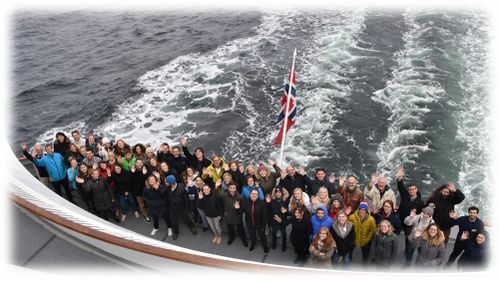 Tromso NO, 2019 Mar 13-15. 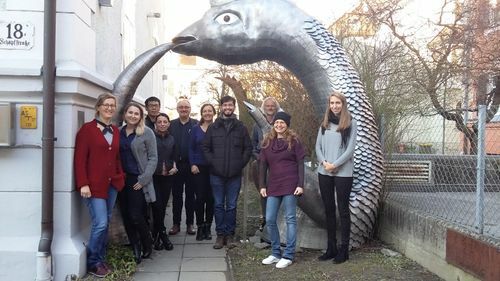 WG 2 Retreat for the review paper “Altered function of cardiac mitochondria in diabetes and obesity” - COST Action MitoEAGLE. Matrei a. Brenner AT, 2019 Mar 11-14. WG 4 blood cell workshop and retreat - COST Action MitoEAGLE. Obergurgl AT, 2019 Jan 31- Feb 03. 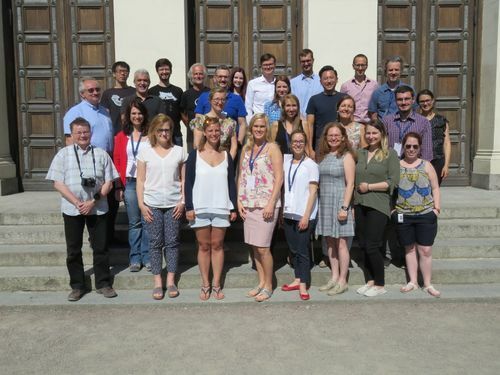 WG 1 and 2 human skeletal muscle workshop and retreat - COST Action MitoEAGLE. Innsbruck AT, 2019 Jan 29. MitoFit Conference: Mitochondrial fitness in cancer metabolism, exercise and aging. Innsbruck AT, 2018 Nov 19-22. WG 1: Electron supply to the Q-junction: assessment of mitochondrial respiration, H2O2 flux and the redox state of the Q-pool COST Action MitoEAGLE. Innsbruck AT, 2018 Nov 13-14. WG 4 cultures cell lines workshop and retreat - Ultramarathon project - COST Action MitoEAGLE. Copenhagen DK, 2018 Aug 06-10. WG 1 and 2 human skeletal muscle workshop and retreat - COST Action MitoEAGLE. Lund SE, 2018 May 28-30. WG 4 blood cell workshop and retreat - COST Action MitoEAGLE. Poznan PL, 2018 Feb 21-23. WG 4 blood cell workshop and retreat - COST Action MitoEAGLE. Innsbruck AT, 2018 Jan 29 - Feb 01. WG 4 blood cells workshop and retreat - COST Action MitoEAGLE. Hradec Kralove CZ, 15-18 Nov 2017. 12th Conference on Mitochondrial Physiology: The role of mitochondria in lifestyle and metabolic syndrome - COST MitoEAGLE perspectives and MitoEAGLE WG and MC Meeting. Obergurgl AT, 2017 Jul 27-30. 10th MitoEAGLE Workshop WG1-4. Barcelona ES, 2017 Mar 21-23. Mitochondrial fitness mapping: Conference, Working Groups and MC meeting - COST Action MitoEAGLE. This page has been accessed 116,330 times.